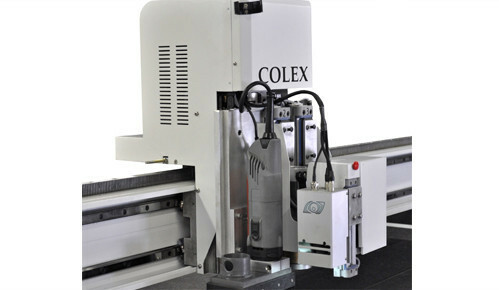 Colex introduces the most versatile Flatbed Cutter System to serve markets requiring mechanized knife cutting, creasing and routing operations. 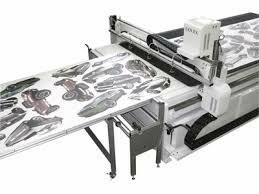 The Sharpcut includes a fixed knife, oscillating knife and router allowing the capability for a multitude of applications. Optional add-on tools are available that will customize your cutter to suit your specific needs and workflow. The Sharpcut production power and quick tool change ensures on-time delivery, even for the complex job.Sharpcut’s advanced engineered flatbed cutting table is designed for cutting sheet and rigid materials while delivering clean, smooth edge quality. 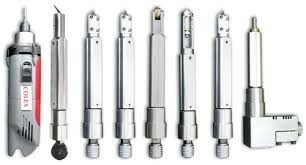 The Triple Interchangeable Tool Head station allows the operator the capability of changing application tools within the same job without manual intervention. Three tools are always loaded in the cutter allowing it to select the appropriate tool required for the job. 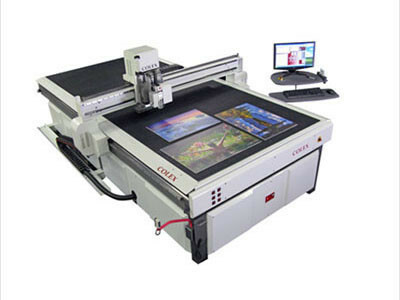 The Sharpcut is a fully integrated hardware and software solution that turns your digital cutting table into a true, short-run production system. This powerful solution provides unmatched productivity by intelligently finishing your graphics with the highest accuracy and efficiency. It includes a camera system that individually adjusts your cut files to accurately match your printed graphics. With industry leading vision registration, powerful dynamic routing, an intuitive user interface and true production workflow, it is the world’s standard in finishing.